For those who have seen Tokyo, Hokkaido, Kyoto and Osaka, why not consider visiting some of the less talked-about prefectures in Japan? Many of us may only know Hiroshima as one of the two cities that were devastated by the atomic bomb during WW2. However, there is much to do in this modern city brimming with life! Visitors to Hiroshima City should definitely not miss out the Atomic Bomb Dome (原爆ドーム). Originally called the “Hiroshima Prefectural Industrial Promotion Hall”, its European-style dome was designed by Czechoslovakian architect Jan Letzel. 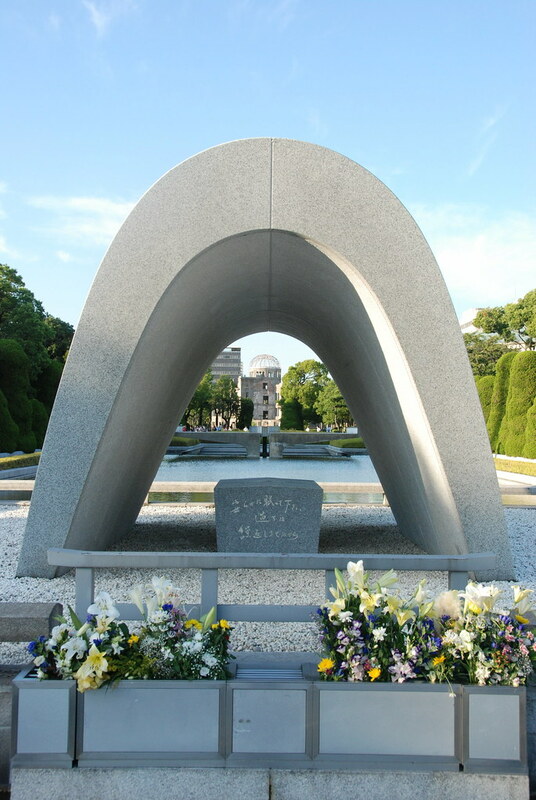 As one of the few remaining structures still standing after the atomic bombing, it is now a symbol for the abolition of nuclear weapons and peace. Five minutes away is the Peace Memorial Park (平和記念公園), which contains the “Cenotaph for the A-bomb Victims”. On it is the inscription “Let all the souls here rest in peace, for we shall not repeat the evil.” The annual Hiroshima Peace Memorial Ceremony is held here on August 6. Also within the park lies the “Flame of Peace”, which has been burning continually since August 1, 1964. Access: From Hiroshima station, take a Hiroshima Electric Railway streetcar to Genbaku Dome-mae station. Elsewhere in the city, Mitaki Temple (三瀧寺) is one of those “hidden gems” that many have missed out on. Named after the three waterfalls within its grounds, the temple lies at the side of the heavily forested Mount Mitaki. Don’t miss the double-storey pagoda or tahoto (多宝塔), which was relocated from a shrine in Wakayama in remembrance of the A-bomb victims. Hike up the mountain too for a fantastic view of the city, and relax at the teahouse Kutenan (空点庵) afterwards. For those interested in technology, the Naka Incineration Plant (広島市環境局中工場) highlights the newest technology used in waste disposal. 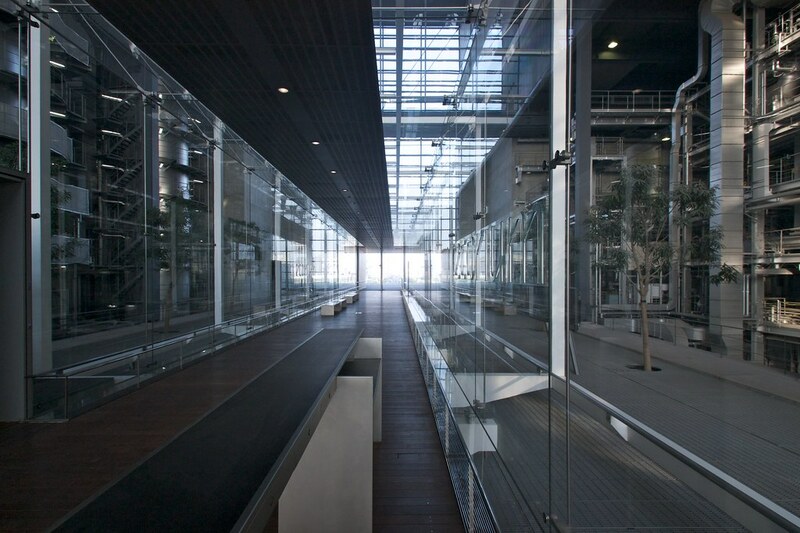 This environmental-friendly facility is designed by well-known architect Yoshio Taniguchi, where the glass passage “Ecorium” is a great backdrop for Instagram photos! Break away from the usual cultural spots to explore Japan’s advancements in technology! Access: From Hiroshima station, take bus #24 bound for Yoshijima Eigyo-sho and alight at Minami-Yoshijima. 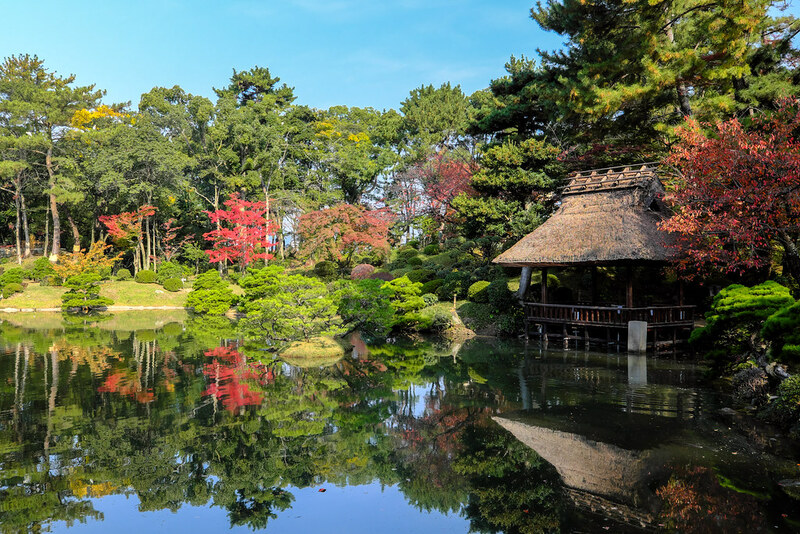 Modeled after the famous West Lake in Hangzhou, China, Shukkeien (縮景園) is a miniature garden with scenery such as valleys, mountains, bridges and teahouses. Right in the center is Takuei Pond, which contains a dozen or more islets. Various paths intersect, which makes the garden a perfect outdoor getaway within the heart of the city. There are various tea ceremonies hosted here each month, so do take a look if you are keen! One thing you cannot NOT try when in Hiroshima is… OKONOMIYAKI (お好み焼き)! This is different from the kind found in Osaka, where everything is mixed together. Hiroshima-style okonomiyaki is done by adding the ingredients one layer on top of another. 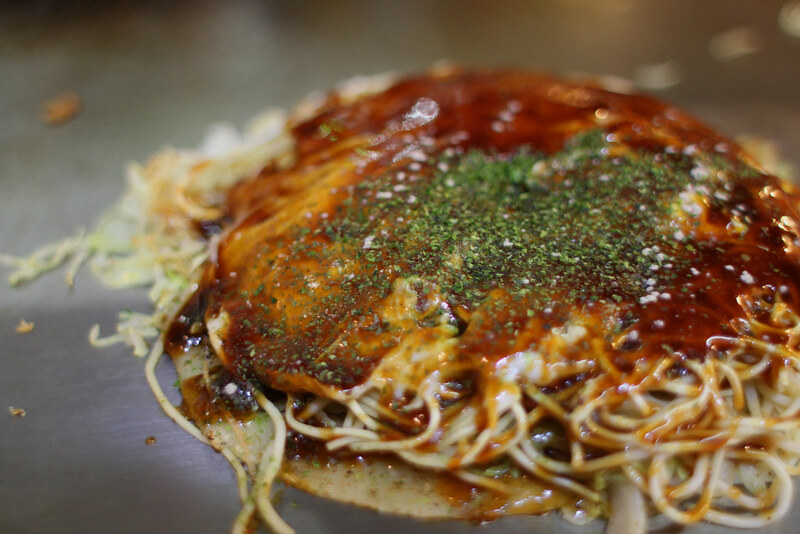 The creator of this type of okonomiyaki is thought to be Mitchan Sōhonten (みっちゃん総本店), which serves the dish with their own special sauce. If you want authentic Hiroshima-style okonomiyaki, surely nothing beats this place! Access: 6-7 Hatchobori, Mashinakaku 1F Churis Hatchobori, near Hatchobori station. Named after the market which is held on the twentieth day of each month since the Kamakura period, Hatsukaichi is where the modern kendama (a traditional Japanese toy) was born. Be sure to catch Kendama World Cup 2016 and future events during your next visit! 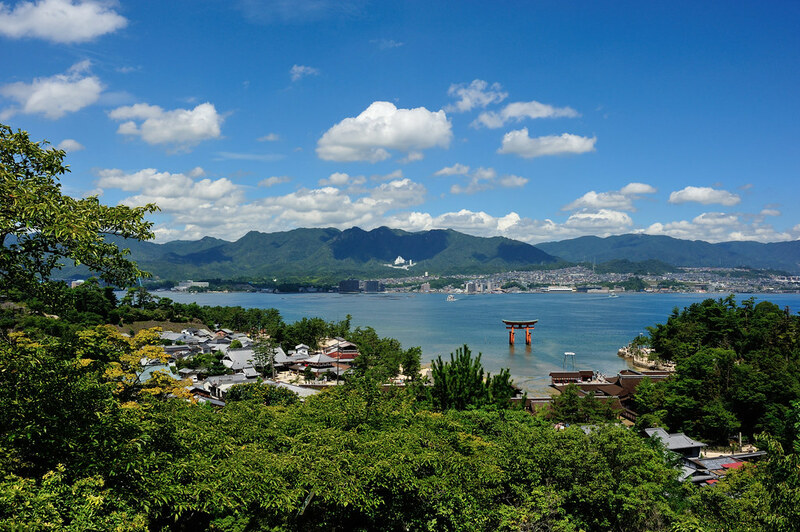 However, this city is more commonly known as Miyajima (宮島), which merged with Hatsukaichi in 2005. 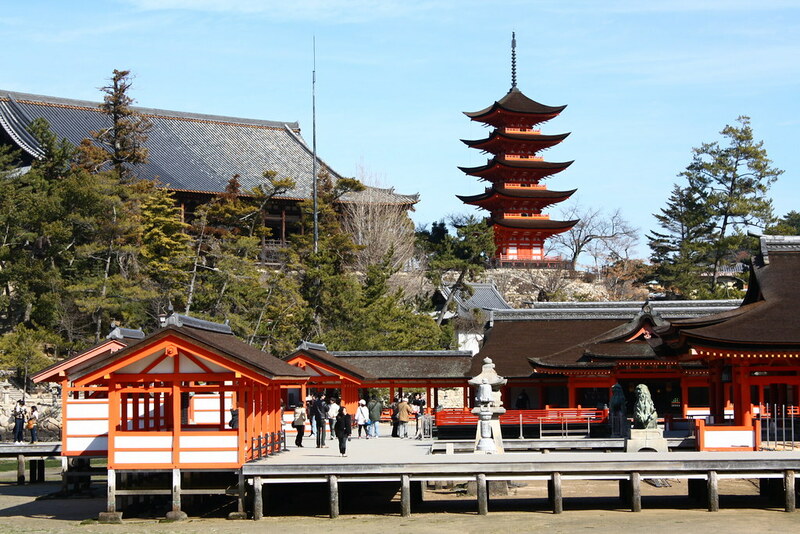 The most popular attraction here is Itsukushima Shrine (厳島神社), which was ranked as Japan’s TOP 3 BEST VIEWS. The bright red torii gates and the shrine complex appear to be floating during high tide. Boardwalks connect various parts of the shrine together, from the prayer hall to the historical noh stage. The torii (seen in the above image), is accessible at low tide, while the shrine is illuminated at night. docks at Miyajima Pier, and walk approx. 10 mins to the shrine. Feed the brazen wild deers all over Miyajima, or book a ryokan stay to enjoy a nice evening stroll in yukata and sandals. 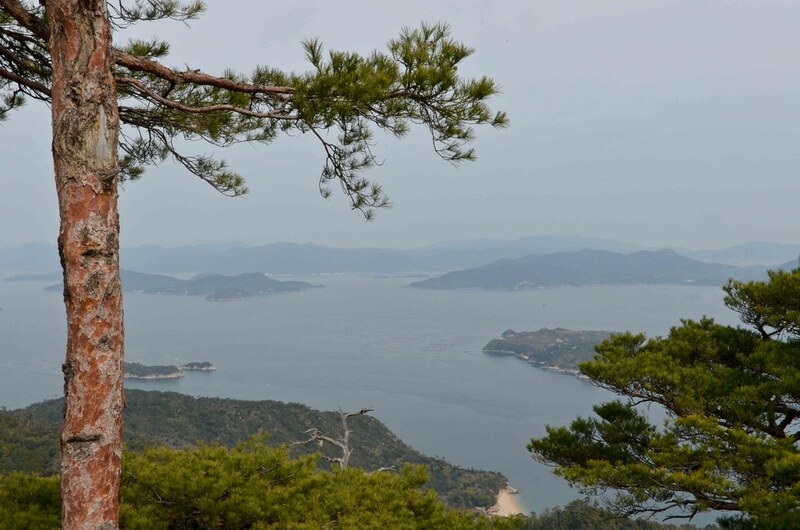 Otherwise, a ropeway leads up to the holy Mount Misen (弥山), which offers a magnificent view of the Seto Inland Sea. Along the way, take in the gorgeous “Virgin Forest Misen” filled with conifers, Japanese red pine trees and more. Go on a hunt for the “Seven Wonders of Misen” with friends and family. 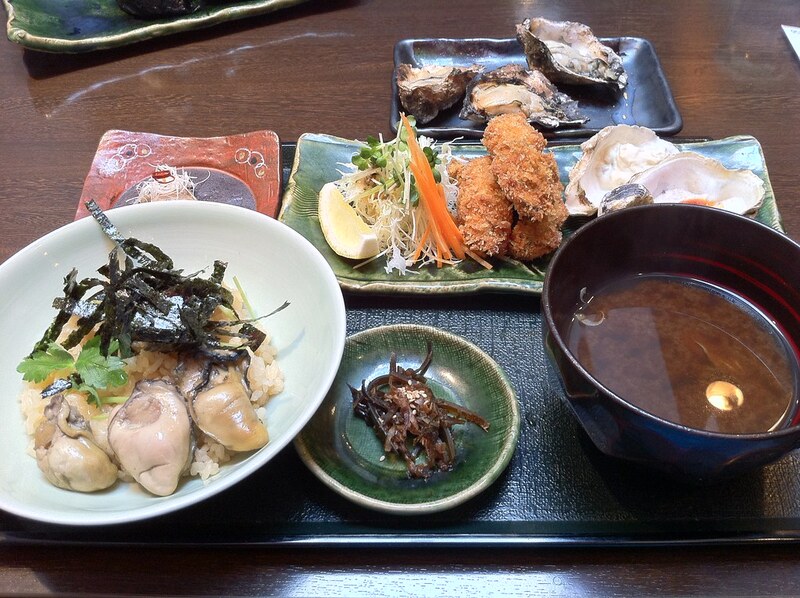 Finally, there are rows and rows of shops and restaurants on Miyajima, such as the classic Kaki-ya (牡蠣屋) which serves mouth-watering grilled kaki (oysters). One day is barely enough for you to explore everything! Access: 539, Miyajimacho, Hatsukaichi-shi, 10 mins from Miyajima Pier. 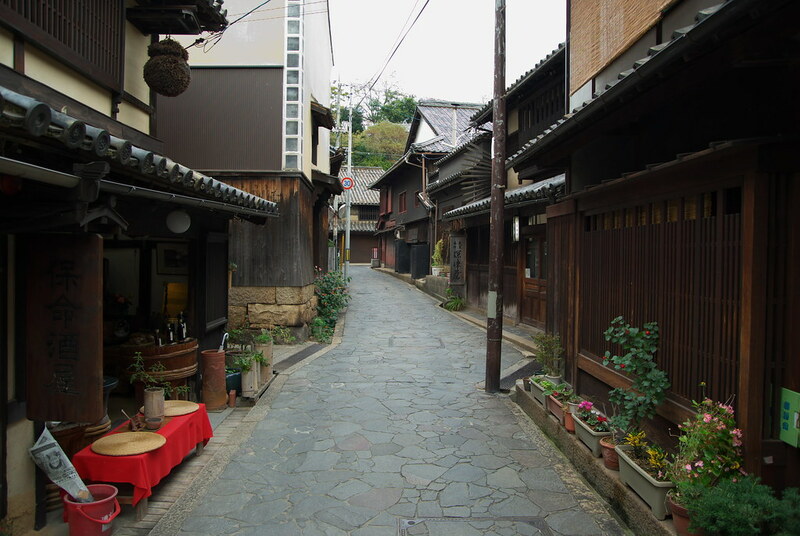 Slightly further away from is the port town of Tomonoura (鞆の浦), located in Fukuyama city. You may not know, but this endearing old town was the inspiration for Sousuke’s town in “Ponyo on the Cliff”, the popular animated movie by Studio Ghibli! There is even a special “Bonnet Bus” which runs from Fukuyama station to Tomonoura, which looks like the Cat Bus from “My Neighbour Totoro”. However, it makes only 3 to 4 trips a day. 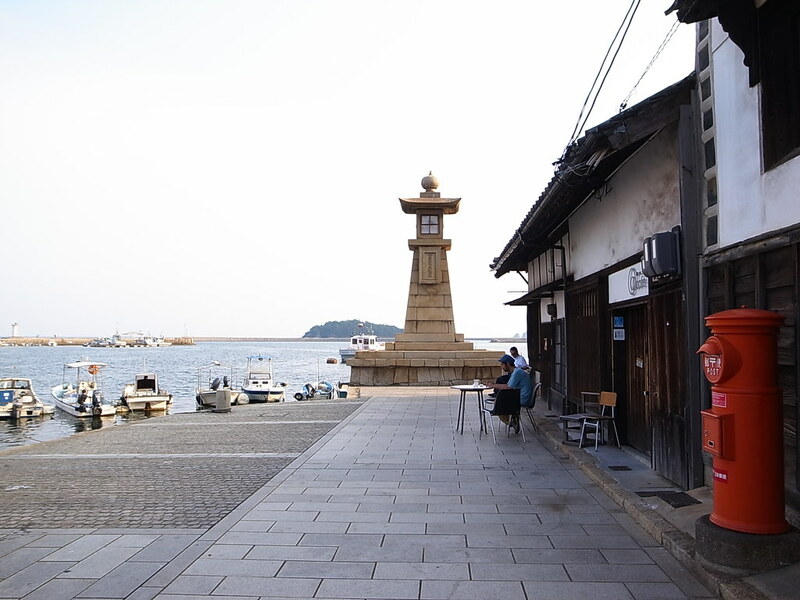 Its long history can be see in the well-preserved Edo era artifacts such as the town’s symbol – the Joyato Lighthouse (常夜燈), gangi (stepped wharfs) and hatoba (breakwaters). Beside the lighthouse lies the Irohamaru Museum (いろは丸展示館), which was the ship that sank along with well-known samurai Sakamoto Ryoma. The wreckage was finally retrieved and is now on display in the museum. As there is no English explanations in the museum, it is best to do some research beforehand. As Tomonoura is famous for the medicinal sake known as homeishu (保命酒), be sure to visit the Ota Residence (太田家住宅) nearby which used to be an old homeishu brewery. Preserved features include the storehouses and traditional tatami rooms. Made from glutinous rice and 16 types herbs, homeishu is not only beneficial for one’s health, it also keeps one warm in cold winters and takes away the tiredness. Sounds like a good omiyage (souvenir)! If you are itching for more views of the Tomonoura bay, hop over to Ioji Temple (医王寺) and climb up to the hill behind the temple to the Taishiden Hall. 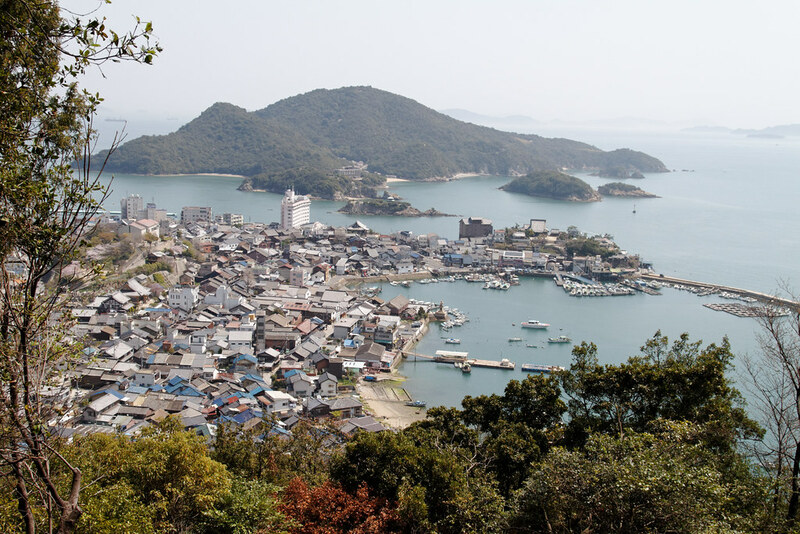 From the port, you can also take a short ferry ride to Sensuijima (仙酔島), which is an island in the middle of Japan’s first national park (the Seto Inland Sea National Park). Find the mysterious five-coloured rock that is unique to Sensuijima. at bus stop #5, located in front of the station exit. 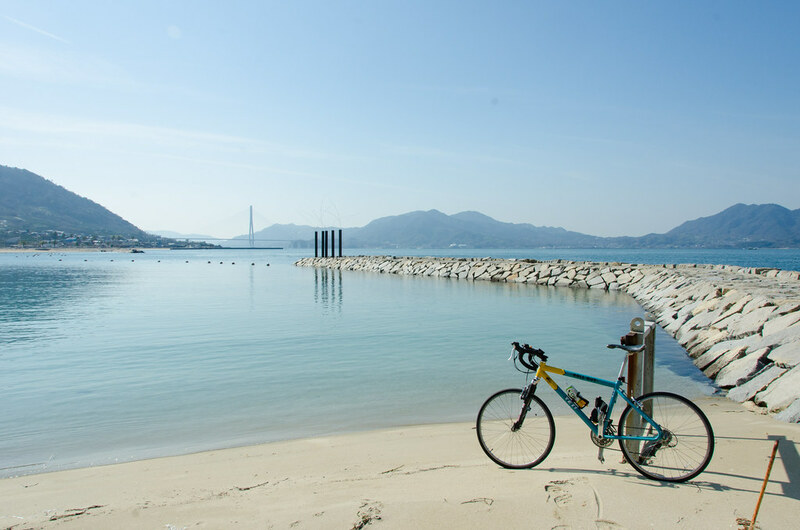 Easily accessible by train from Fukuyama station, this little area is a haven for cyclists, especially since the opening of the highly anticipated ONOMICHI U2. The former prefectural maritime warehouse was given a new face and reopened as a resort of sorts for bicycle enthusiasts. Within the building lies a gift shop, a bicycle shop, several dining options and also a hotel (HOTEL CYCLE) with a gorgeous view of the Seto Inland Sea! Access: Approx. 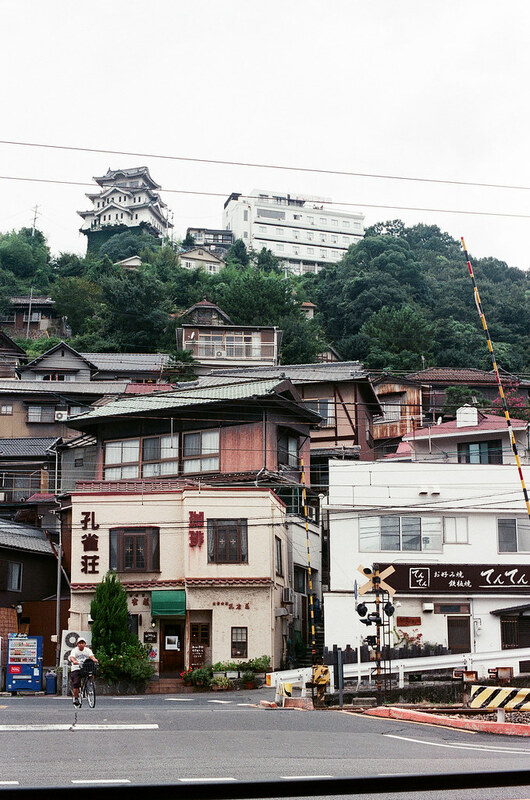 5 mins walk from JR Onomichi Station. 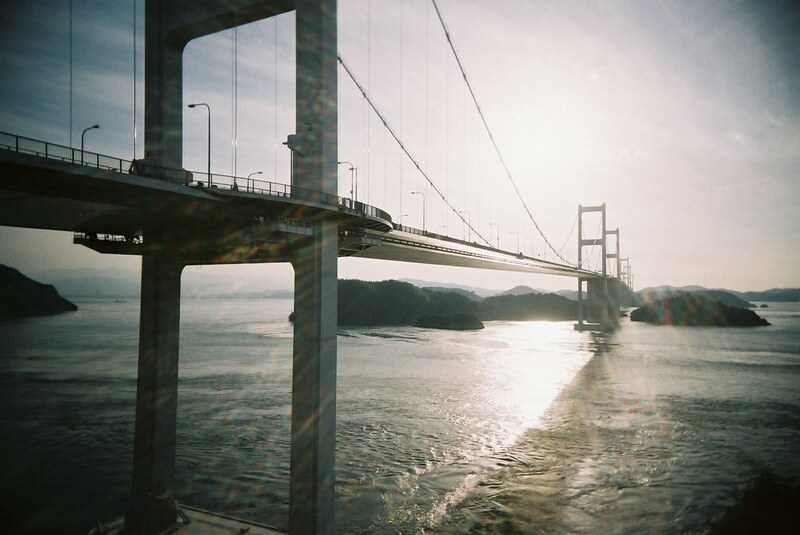 Avid cyclists should definitely conquer the 60 km Shimanami Kaido (しまなみ海道), an expressway which links Honshu to Shikoku and 6 small islands via a chain of bridges. In particular, some consider the Kurushima-Kaikyo Bridge (来島海峡大橋) to be a work of art, and a marvel in engineering as it is the “world’s first three successive suspension bridges built in such a difficult location in the sea”. This road can only be accessed on foot or by a bicycle, which makes for a unique experience for holiday-goers. Access: Cycling terminals near Onomichi Station (located in Green Hill Hotel and ONOMICHI U2 respectively). 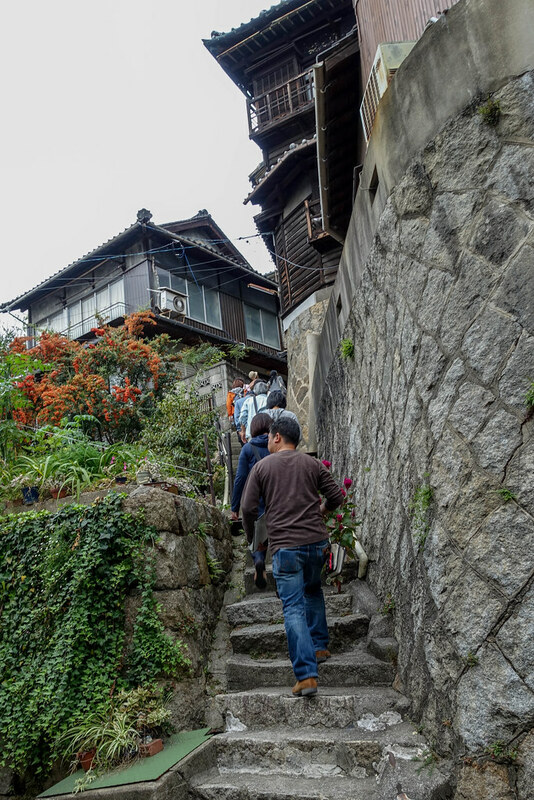 Also notable is the famous Temple Walk, a route designed to bring visitors to just 25 of Onomichi’s large number of temples. Although the entire journey is only 2.5 km long, some may take an hour to the entire day if you stop at other attractions such as the “Literature Path” and the Motion Picture Museum (おのみち映画資料館). This route will bring you through the city’s narrow lanes and many slopes, which offer fantastic views of the landscape and neighbouring islands. THERE ARE ALSO TONS OF CATS ALONG THE WAY! An important temple is the Senkoji Temple (千光寺), where its vermillion-lacquered main hall is famous. Other objects in the temple include a bell tower that produces one of the “100 Soundscapes of Japan”, a large rock known as “Tama no Iwa” (Jewel Rock) that had a gem that was rumoured to glow at night, and many small jizo statues. 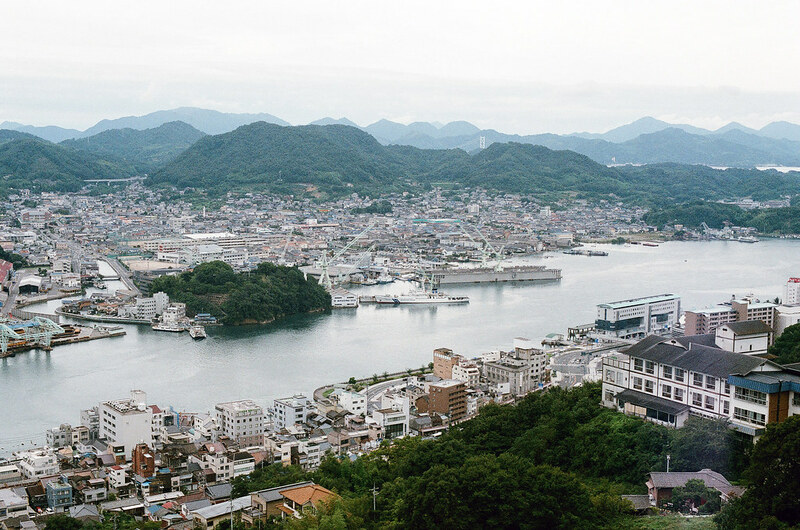 Nearby lies the Senkoji Park, which offers a picturesque view of the town, as well as the Onomichi City Art Museum (尾道市立美術館) that was designed by renowned architect Ando Tadao. Access: Approx. 15 mins walk from JR Onomichi Station. Enthusiastic about Japan travel, history and FOOD! On her way to conquering all 47 prefectures in Japan!